Our serial story will continue next week. Today, a Good Friday poem by Latayne Scott. Oh, Latayne, what a beautiful poem. 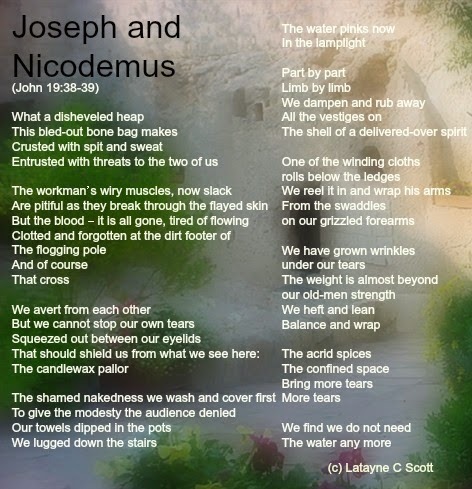 How you've brought to life that passage of Scripture, putting us in the place of Joseph and Nicodemus, letting us feel their hearts in a way I never have before. Just beautiful.